at 20:47hrs the automatic alarm was dispatched for 10707 Corporate Dr. 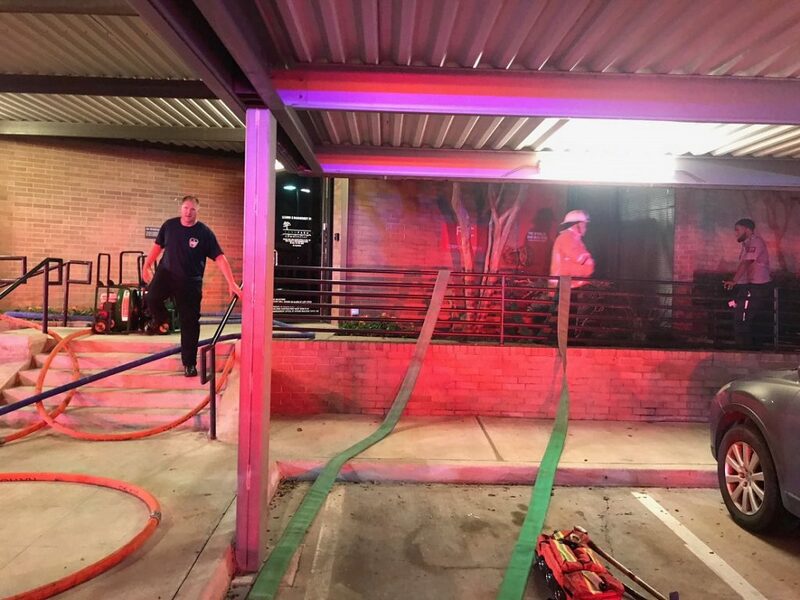 Prior to Engine 23 even checking enroute Comm Center upgraded the assignment to a box due to receiving calls advising the elevator shaft was on fire. Upon arrival of Engine 23 smoke was visible in the building coming from the elevator shaft on Division 1 and advised of a working fire. Deploying a pre-connect attack line Engine 23 was able to apply foam to the fire in shaft pit while the Chauffeur made connections to the FDC. Arriving next Truck 21 went to the roof to vent the shaft, Engine 3 secured a water supply, Engine 22 assumed RIT responsibilities and Ladder 31 staged. With the fire knocked down and confirmation of no vertical extension in the shaft the incident was placed under control while extensive PPV efforts were initiated to vent the atrium style building of accumulated smoke. 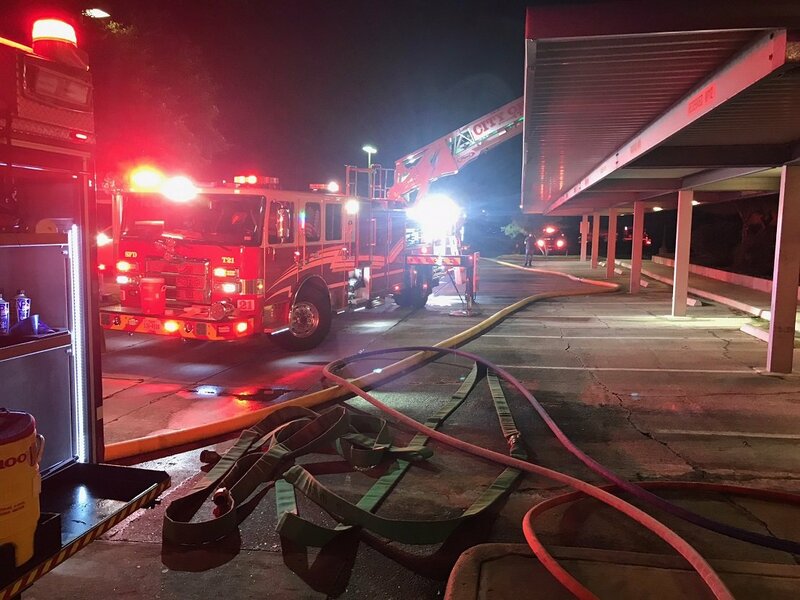 During this time an elevator repair company technician arrived on scene to determine a way to move the elevator car with no success given electrical wiring having been burned through. Following completion of ventilation and assisting investigators all units returned to service.